A celebration in the snow - Introducing Winterjól! It’s time for a feast! Send in the snow! Welcome to the Winterjól Season, Dragon Lords! 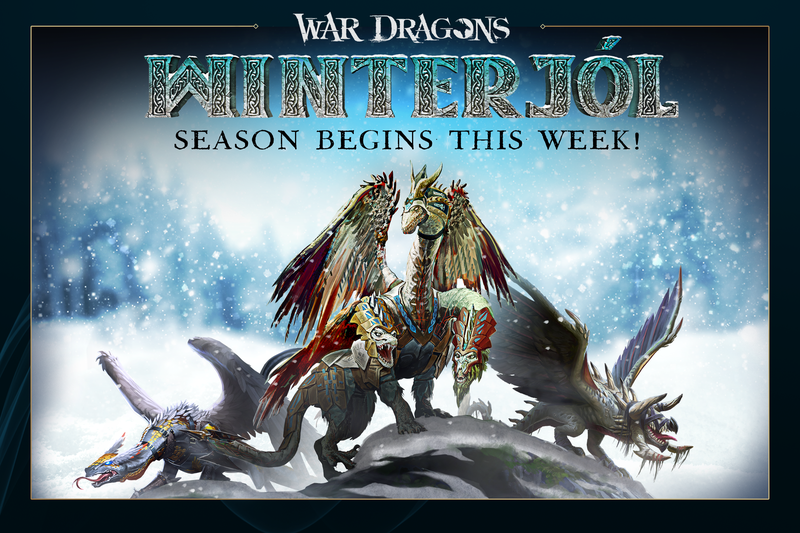 This week, the Dragons community team will be flying the new Winterjól Dragons live on our weekly streams. Catch the show on Twitch this Wednesday (12/5) at 3pm PT and Facebook Live this Thursday (12/6) at 2pm PT. The last fugitive Blackblood drake, craven and spiteful. The oldest Dragon Lords still remember the Blackbloods and the cruelty they wrought throughout Atlas’ island kingdoms. After Lord Gustav’s demise, the few remaining Blackblood drakes went into hiding. Most have likely died by now, but several clan leaders report an elderly drake picking over pillaged towns and villages along the Frigid Narrows’ coastline. Such a beast would not be too out of place in the Narrows, but veteran Dragon Lords would recognize those markings anywhere. Increases fireball damage by 150% and freezes buildings hit for 3.5 seconds. Spell has a 4 second duration. Conceals your Dragon so that enemy towers cannot attack. Blue mages cancel this effect. Spell has a 12 second duration and 3 second cooldown, although the cooldown only takes effect when cloak is disturbed by an attack. There is no cooldown if disturbed by blue mage or the duration expires. Upon activation, Dragon marks a target tower. When this marked tower is destroyed, the Dragon will restore 40% of its base HP and gain 2 Rage. Spell has a 4 second cooldown. Reduces damage done by Ice Flak towers by 70%. Gunnar’s entire Season branch will be discounted by 50% for two weeks from Wednesday, December 5th until Tuesday, December 18th. Protects the souls of dragons that died in glorious combat. A valkyrie is tasked to shepard the souls of slain warriors to the afterlife. No valkyrie can do this alone, however. 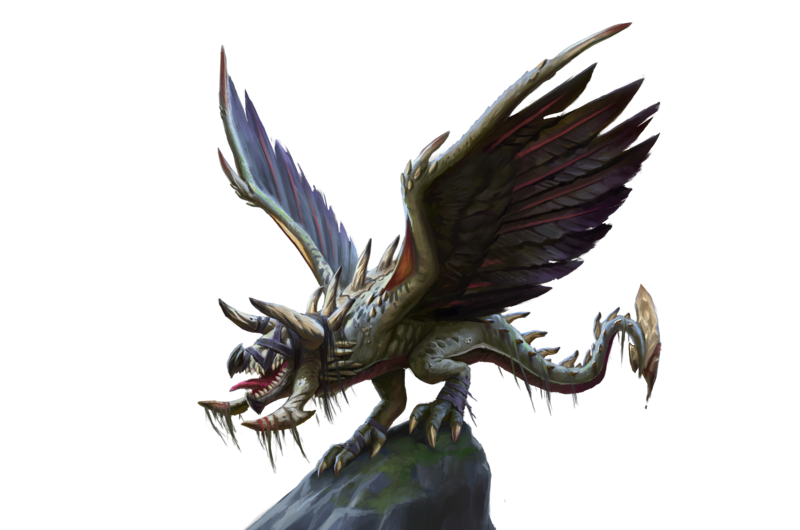 Their dragon companion serve alongside them, reigning in the rougher souls of the departed warriors’ dragons. Hildr and her rider, Astrid, are the most senior valkyrie pair in the Frigid Narrows. They are known for their kindness towards the living and their dedication to the dead. Fires 3 projectiles at up to 3 targets, each dealing 15% of the Dragon's base HP as damage. Spell has a 0.5 second cooldown. Freezes buildings for 3.5 seconds and deals 8% of the Dragon's base HP as damage. Spell has a 6 second cooldown. Passively summon an ethereal dragon. The Guardian deals 2.75% of the Dragon's base HP as damage and has 500% of the Dragon's base HP as health. 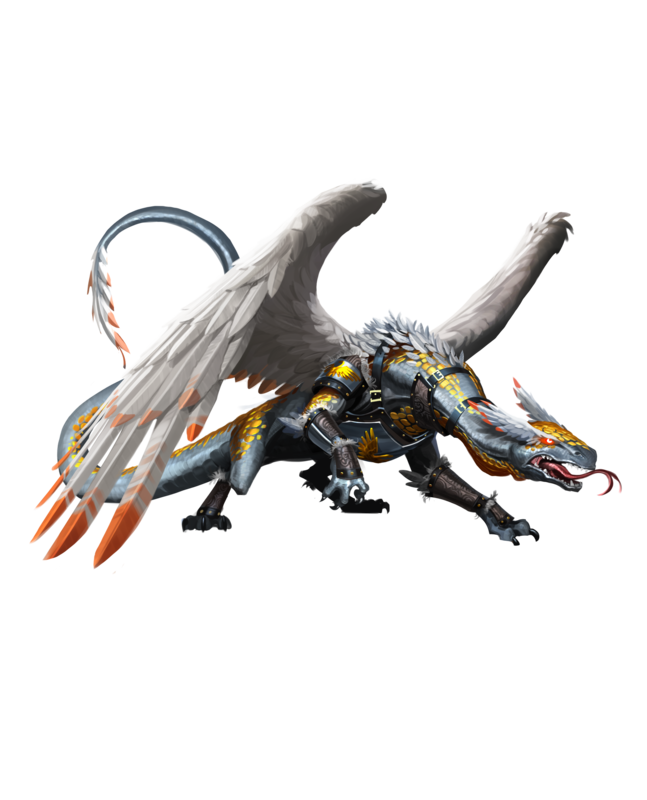 The Guardian will absorb 40% of all incoming damage and increase the Dragon's rage generation by 30% while it is present. Reduce damage taken from Dark Flak Towers by 70%. One head sees the past, one the present, and one the future. Urd, Verd, and Skuld were long ago exposed to a temporal anomaly that altered how they perceive time and space. Whereas before they bickered amongst each other about which village to destroy and which sheep to eat, now they’re able to simultaneously observe the past, present, and future. Being from the Frigid Narrows, these dragons naturally use their reality-bending powers for raiding. They’re always successful in their pillaging, as they can foresee every possible outcome and choose a fate that best befits them. Dragon gains 50% increased Rage generation and 100% increased breath damage for 3 seconds. Upon building destruction, Dragon restores 16% of its Modified HP as health. Spell has a 5 second cooldown. Deals 15% of the Dragon's base HP as damage and freezes towers hit for 5 seconds. After 1 second, the Dragon will teleport forward and gain a shield for 40% of its max HP that lasts for 15 seconds. Alter Fate can be recast within the 15 seconds of activation to return to the pre-teleport position and will gain another shield for 40% of its max HP that lasts for 10 seconds. Spell has a 10 second cooldown. 50% damage reduction against all elemental attacks (Flaks and Beams). It’s time to start our Winter festivities! Will you shepherd Dragons and humans to the afterlife with Hildr, or rise up as a Blackblood devotee with Gunnar? 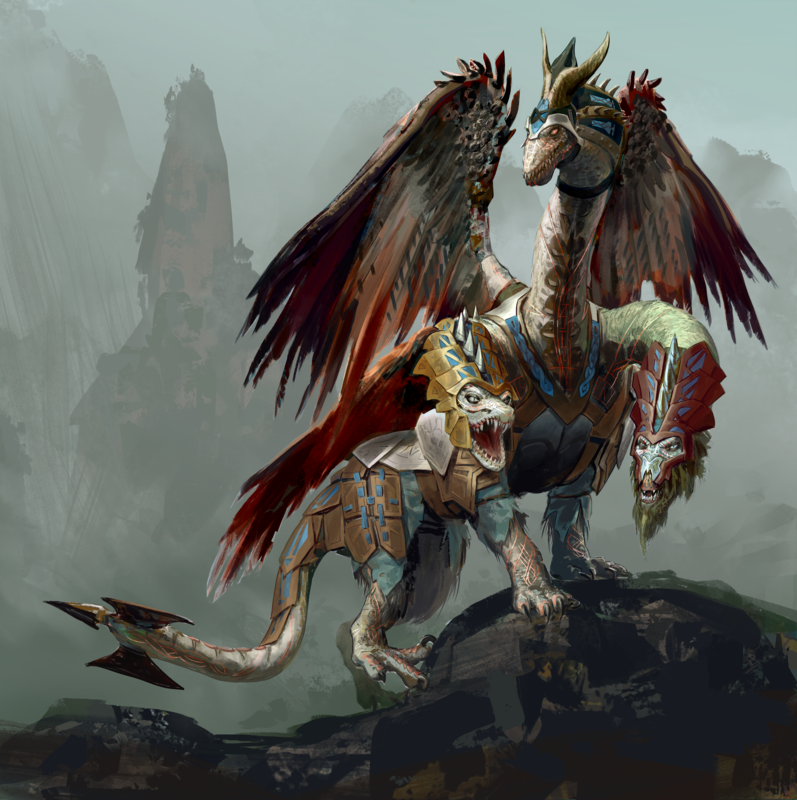 Fly on over to the official War Dragons Forums to discuss these new Dragons with the community!